I am a non-resident United States citizen. Do I need to file a tax return? Yes. Unlike the vast majority of countries in the world, the U.S. taxes its citizens on worldwide income – which means that if you are a United States citizen with income over the filing threshold, then you should be filing a U.S. income tax return each and every year. For 2014, the threshold for individuals under 65 was $10,150 of gross income per person, if Single or Married Filing Jointly. If you’re self-employed, the income threshold is much lower – you must file a tax return if you made $400 or more of self-employment income. If you’re a foreign resident and you think you may need to file tax returns for multiple years, there’s a streamlined process in place to help people like you get caught up. Contact us and let us know, we can help explain your options. But that’s ridiculous! I already pay taxes in my country of residence! The good news is that there are a variety of exclusions, credits and tax treaties in place that will help protect you from double taxation. Your first option is the Foreign Earned Income Exclusion. In 2015, you can exclude up to $100,800 of income from U.S. income tax. Additionally, you may qualify to exclude or deduct amounts paid for housing. Your second option is the Foreign Tax Credit. This gives you credit for some or all of you’re the foreign income taxes that you paid. Note, that you can’t use the Foreign Earned Income Exclusions AND the Foreign Tax Credit for the same income. Most people will use the Foreign Earned Income Exclusion first and only use the Foreign Tax Credit for income that is not covered by the exclusion (such as earned income above the limit or investment income). How do I know if I qualify for the Foreign Earned Income Exclusion? 1. You are a “bona fide” resident of a foreign country for the entire tax year. The Bona Fide Resident Test applies if you are a legal resident of the foreign country – usually on a long-term work contract, or as a permanent resident or citizen of that country. It does NOT apply if you are on a tourist visa, or you have overstayed a visa and are not a legal resident. 2. You were out of the United States for 330 days for a 12 month period. It doesn’t matter why you were away from the United States or how many different countries make up your time way. As long as you were not in the United States for more than 35 days, you meet the Physical Presence Test. That 12 month period does not have to run from January 1 to December 31, so it may be possible to cover some of the tax year, even if you returned to the United States for more than 35 days. What about Social-Security, Medicare and Self-Employment Taxes? The Foreign Earned Income Exclusion doesn’t exempt you from Social Security and Medicare taxes. Self-Employment Taxes are also not excluded, because they are the equivalent of Social-Security and Medicare taxes. There are a variety of tax treaties that may come into play and exempt you from Social Security, Medicare and Self-employment taxes. In essence, if you are already paying into a social security type of system in your country of residence, then there is a high likelihood that the foreign country has a tax treaty with the United States that will prevent double taxation. Usually, you only ever have to pay into one social security system. If your country of residence doesn’t have a pension system or if you’re not paying into it, or if there is no tax treaty, then in all likelihood, you will need to pay Social Security, Medicare and Self-employment taxes. The good news is that Social Security can be collected even if you are retired abroad. The minefield of non-resident returns can be complicated! Let Stonecreek Accounting take the burden off your shoulders and help you file your tax returns. I am the foreign owner of an LLC organized in the United States. Do I need to file a tax return? Non-residence aliens often organize their LLC in Delaware or other business-friendly states in order to more easily do business with American customers. For federal tax purposes, an LLC can be taxed in a variety of ways. An LLC with multiple owners is classified, by default, as a partnership. The partnership then must file Form 1065. The partnership itself pays no tax, instead it passes through the income to its owners. Each owner receives Form K-1 showing that owner’s portion of the income. Each owner must then file a tax return showing the income from Form K-1. For individual foreign owners, this means filing a 1040-NR – a personal income tax return for non-resident aliens. Note that when a husband and wife who are both non-resident aliens form an LLC together, it will default to a partnership and they will need to file three returns – one for the partnership, one for the husband, and one for the wife. There is no Married-Filing-Jointly status for 1040-NR. An LLC can elect to be taxed as a corporation. In the case where foreign shareholders are involved, a C-Corporation is the only corporate option. C-Corporations file Form 1120. They pay corporate income tax at corporate rates. Their shareholders do not pay any tax until a dividend is received. When dividends are received, individual foreign owners will need to file a 1040-NR. 3. As a disregarded entity. If an LLC has only one owner, then it is a disregarded entity for U.S. tax purposes. What this means is that the IRS considers the LLC and the owner to be the same person. In the case of a partnership or a corporation, the LLC is considered a “U.S. person.” In the case of a single-owner LLC, the only person that exists is the foreign person. This can substantially change how and if the owner is taxed. If you are the owner of a single-owner LLC, we suggest that you consult with a Certified Public Accountant to ascertain what your tax obligations are. Regardless of your entity type, Stonecreek Accounting, LLC is here to help you and your company’s shareholders understand your U.S. tax obligations and help you get compliant. 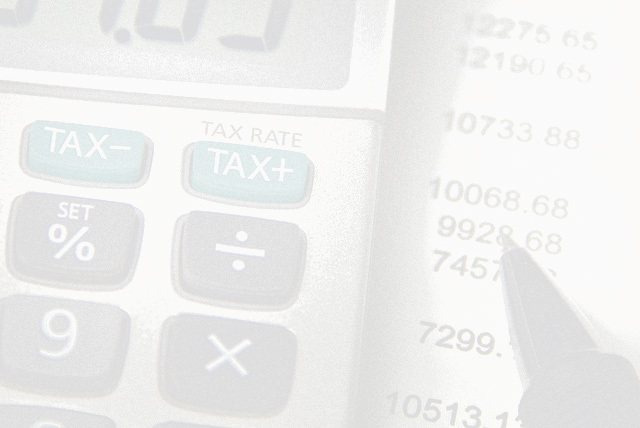 We can also explain your State tax obligations – which shouldn’t be ignored. I want to get caught up on my late tax returns, but I’m afraid of the penalties and interest. What to do? The first thing we’d like you to realize is that you’re not alone. The situation is very common and people of all walks of life fail to file tax returns. Usually people want to get caught up for two different reasons: a change in life circumstances (got married, had children, want to purchase a home, new job); or overwhelming demand letters from the IRS and State tax authorities, often threatening seizure of assets. The next thing we want you to know is that the longer you wait, the worse it’s going to be! You only have three years from the original due date of a return to claim tax credits. This includes the Earned Income Credit, Child Tax Credit, American Opportunity Credit and others. These credits can help to minimize, or even wipe out your tax liability. Furthermore, you only have three years to claim a tax refund. So if it turns out the IRS owed you money, you could lose out. Taxpayers with delinquent returns often assume incorrectly that they aren’t eligible for any credits. Even if you have simple returns, contact Stonecreek Accounting to help you through the process. It can be overwhelming to get current with your tax obligations and we’ll ensure that each tax return is completed quickly and efficiently. As soon as you realize that you want to get caught up, we encourage you to gather documents and make plans to file the current year’s tax return on time. You do not have to file all of your delinquent tax returns before filing this year’s. If you need additional time, we can file an extension for you. Once you file your old returns, you’ll have a few options. 1. You can get on a payment plan. We encourage you to sign up for a payment plan as soon as you’re able to, even if you are exploring other options for lowering your debt. Being current on a payment plan is generally a requirement for being considered for the options below. 2. You can make a penalty abatement request. The IRS allows you to apply to have your Failure to Pay and Failure to File Penalties be waived. Generally, you need to have some kind of reasonable cause for not filing your tax returns or paying taxes in order to be granted a request. For instance, some of the strongest examples of reasonable cause would be a death in the family, illness, or a disaster. That said, we encourage you contact us so that you can discuss your individual circumstances with a CPA. There are a wide variety of situations that could justify making a request for penalty abatement. 3. An Offer in Compromise. In situations where you are unable to reasonably make payments on your tax debt, you may qualify for an Offer in Compromise to settle your tax debt for less than you owe. It can be very difficult to qualify for an Offer in Compromise if you or your spouse have income and if your debt is below $50,000. Even if you don’t qualify outright, you can still file an Offer in Compromise and discuss your individual circumstances with the IRS. In all cases, you must actually file your delinquent tax returns. In order to make a penalty abatement request or an Offer in Compromise, you must wait for the returns to be processed and receive a letter from the IRS stating your taxes and penalties for that tax year. This can often take as many as 10 weeks. I started a business! What do I need to know about State tax obligations? Each state is different, but there are a lot of similarities and these general requirements with exist for most states. 1. Business starts with the Secretary of State. For most organizations, paperwork will need to be filed with the Secretary of State in order to legally do business in that state. Articles of Organization (LLC) or Incorporation (Corporation) are filed with the Secretary of State. Each state may have different types of LLC’s or Corporations to choose from, so let us know if you need help choosing. After you organize in your State, you will need to file an Annual Report each year. This will usually involve an annual fee. Most annual reports can be filed online, and require fairly basic information. If you’ve already organized in one State, but you’re moving your business into another, you will still need to register with the Secretary of State and file annual reports. You will likely do this as a Foreign Entity (because your entity is foreign to that State). 2. How do I choose what State to organize in? Most U.S. residents should register in their State of residence. Entities with foreign owners or owners in multiple states should weigh their choices. While Delaware is a popular choice among foreign owners, there are other business-friendly options. Stonecreek Accounting LLC can help you examine your options. 3. If you have employees, there will be quarterly reports. Once you introduce payroll to your entity, you will need to start filing State payroll returns. Normally, state unemployment insurance is included on the payroll return. Some states may also have Worker’s Compensation reports or other quarterly reports. Certain cities also have income tax requirements, and as an employer, you may need to collect and remit withholding. 4. If your business has a physical presence in a state with income tax, you’ll need to file a state income tax return. If the state has a sales tax, you’ll need to collect sales tax. The business will need to file a state income tax return and collect sales tax if it has nexus in a state. What that means, generally, is if your business has property or payroll in a state, it is doing business in that state. Property includes inventory – even if you are using the shipping fulfillment services of a third party, such as Amazon. Payroll generally includes your regular employees, but not freelancers and independent contractors. Providing virtual products or services to customers within a state does not necessarily subject you to tax requirements in that state. State nexus can be complicated, however, so we highly encourage you to contact us to speak with a Certified Public Accountant about your business’ specific circumstances in order to make a determination about what your State requirements are.